This workshop is open to members of the general public - men and women. Continuing education credits for counselors and social workers are available. 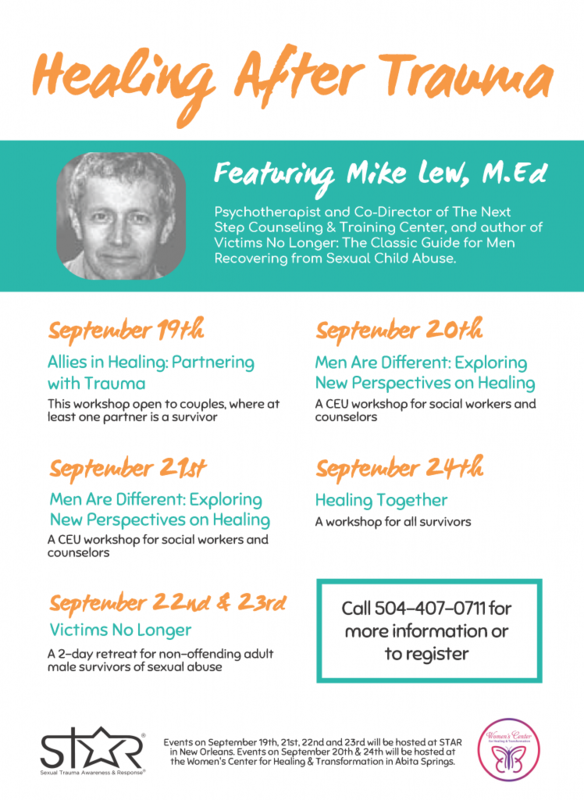 Mike Lew, M. Ed, is presenting a series of workshops targeted at promoting healing for survivors of sexual abuse and assault. Lew is a renowned psychotherapist and Co-Director of The Next Step Counseling and Training Center in Easthampton, Massachusetts. He is also the author of Victims No Longer: The Classic Guide for Men Recovering from Sexual Child Abuse. Read more on his website here. If interested in purchasing his book, see below. Join us for a workshop in which you'll learn techniques for working with male survivors of sexual trauma. This one-day training workshop for clinicians and others who work with male survivors of sexual abuse - or plan to work with this population - will offer a basic perspective on the issues and needs of male survivors, useful and unhelpful approaches, and issues for professionals working with male survivors. Pre-registration and payment are required to reserve your spot. On-site registration may be available if space allows, though will be considered on first-come, first-served basis. Each participant must register separately. Approved for 6 hours of CEUs for Social Workers and Counselors. 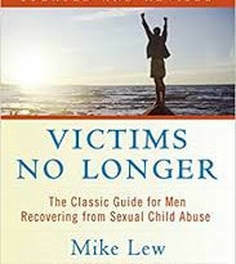 Mike Lew's book Victims No Longer: The Classic Guide for Men Recovering from Sexual Child Abuse may be purchased online here or at the local Barnes and Noble. See Mandeville store location info here.